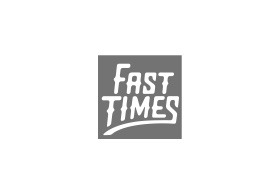 Fast Times Skateboarding has been supplying our customers with the finest selection of Skateboard, Apparel & Footwear in Australia since 2008. We stock the biggest range of skate, hardware, streetwear and footwear as well as Fast Times exclusives, brand collabs & limited edition releases. Fast Times Skateboarding has been supplying our customers with the finest selection of Skateboard, Apparel & Footwear in Australia since 2008. We stock the biggest range of skate, hardware, streetwear and footwear as well as Fast Times exclusives, brand collabs & limited edition releases.